Just like no two fingerprints are alike, no two people have the same hearing issues. One size does not fit all for someone who is struggling in real-world listening environments. 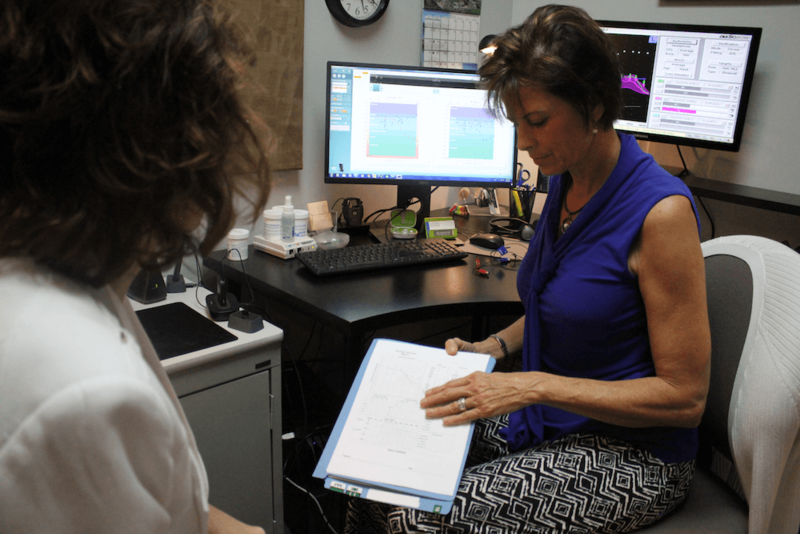 That’s why Ultimate Hearing’s audiologist Ann Mundell-Noel, M.A., F-AAA, treats each patient as a person; they each have different needs for different situations. Our goal, our mission, is to help find the right solution for you. We listen, we ask questions, we understand what your needs are for you. 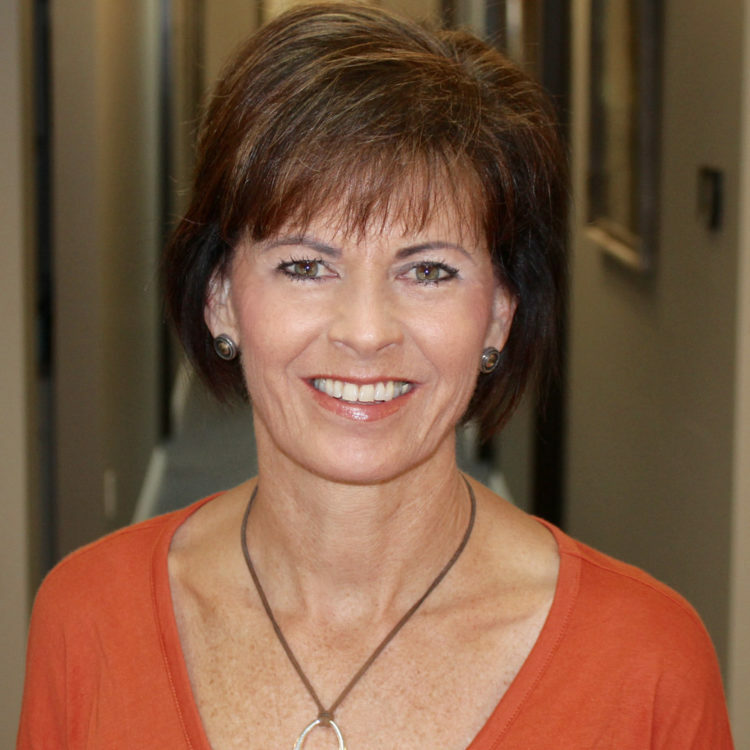 Ann Mundell-Noel has more than 30 years of experience as an audiologist here in the Orange County area. More than 70 percent of Ann’s clients are patient recommended or doctor referred. She is somebody you can trust. An audiologist is a hearing care professional who has studied and is trained in hearing sciences. 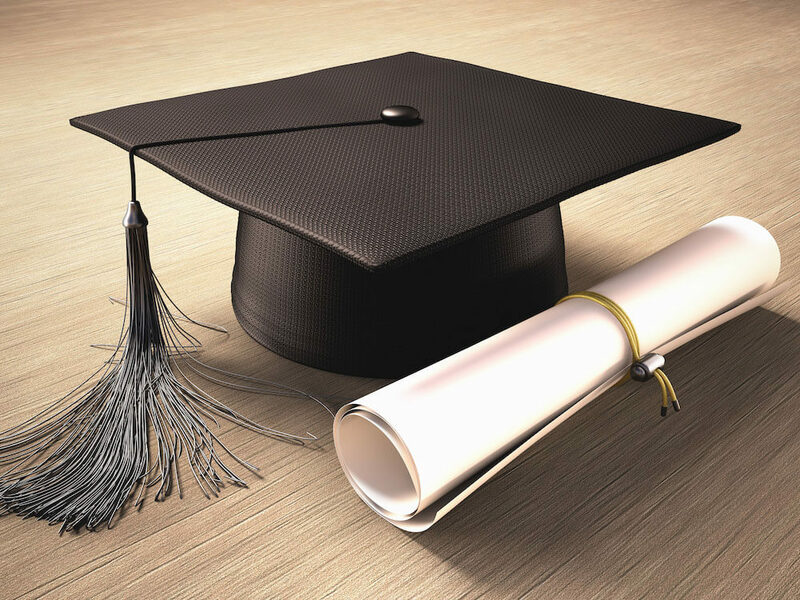 With a minimum of a Masters degree in hearing, audiologists understand physically and emotionally the impact of hearing loss. Numerous classes addressing the habilitation and rehabilitation of hearing are required. Audiologists are the most qualified professional to assess hearing function and make recommendations based upon their findings. A referral to an ENT (Ear, Nose, Throat) doctor is made if further medical followup is needed. In addition to extensive knowledge in hearing function, assessment, counseling and rehabilitation, our audiologists are also certified as a hearing aid dispenser. 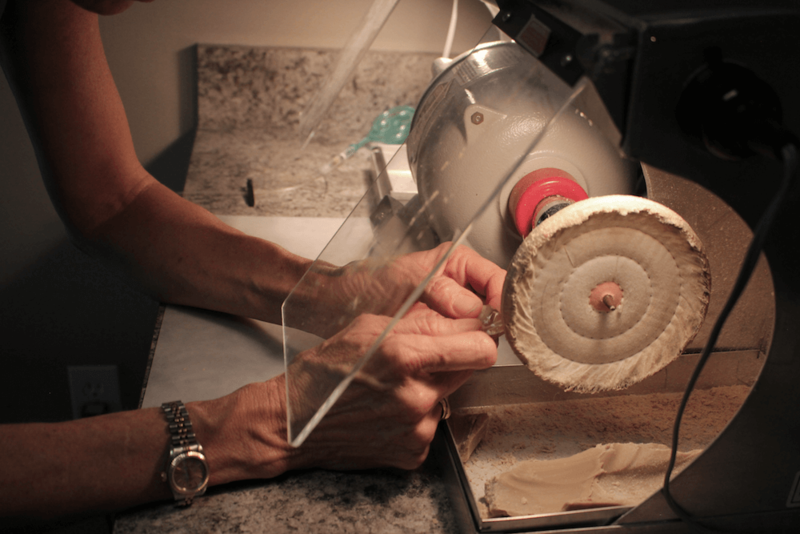 A hearing aid dispenser is trained and licensed in skills necessary to fit hearing aids. It is the combined knowledge of being an audiologist and a hearing aid dispenser which makes a dispensing audiologist the best choice for proper hearing aid fittings and adjustments. In addition, our audiologists practice the American Academy of Audiology’s ‘Best Practices’. This protocol ensures a patient receives the best hearing care available. 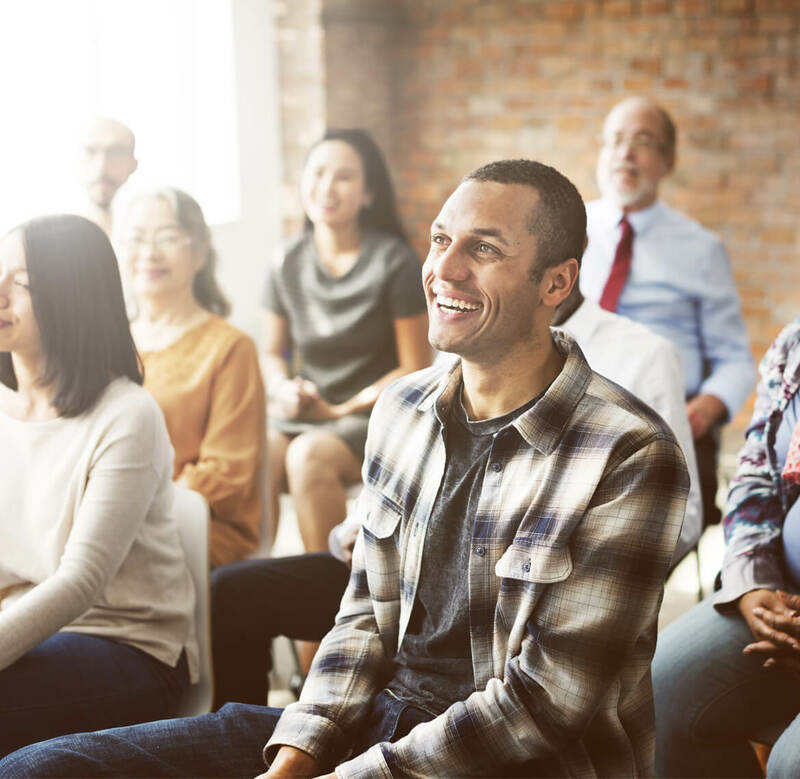 Less than 20% of all hearing aid practices nationally fit into this standard, yet at Ultimate Hearing, 100% of our fittings follow this guideline. The hearing test is an important part of the evaluation process. At Ultimate Hearing, we take an extensive case history to determine your background and hearing needs. Our hearing test involves speech testing in quiet and in background noise. 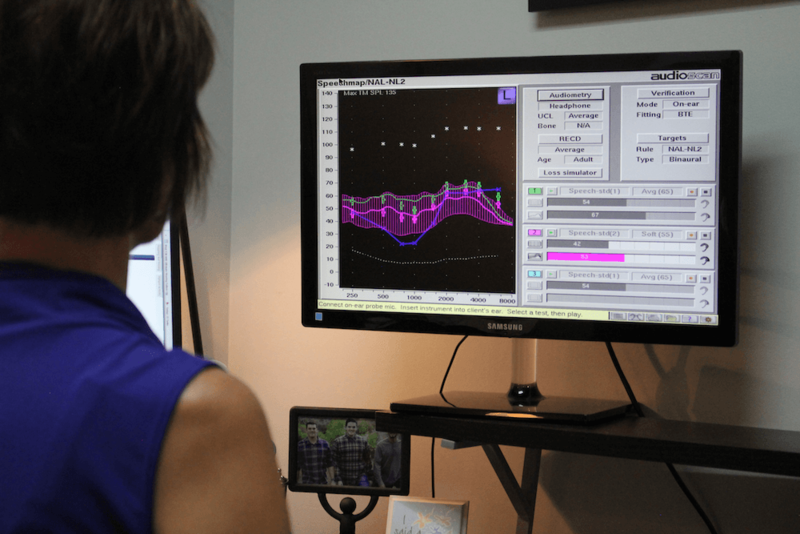 We follow the American Academy of Audiology’s best practices for our audiological evaluation, including Quick SIN. The Quick SIN test challenges the brain to hear sentences in the presence of background noise. The hearing test is thorough yet easily adaptable based upon a patient’s ability to perform it. Once completed, our audiologists can counsel the patient to achieve their best auditory performance. Tinnitus is usually a sensorineural reaction in the brain to damage in the ear and auditory system. Although tinnitus is often associated with hearing loss, there are roughly 200 different health disorders that can generate tinnitus as a symptom. Below is a list of some of the most commonly reported catalysts for tinnitus. Note: If you are worried about tinnitus as a side effect of your medications, please consult your subscribing physician or pharmacist. You should not stop taking any medication without first consulting with your healthcare provider. The risks of stopping a medication may far exceed any potential benefit. 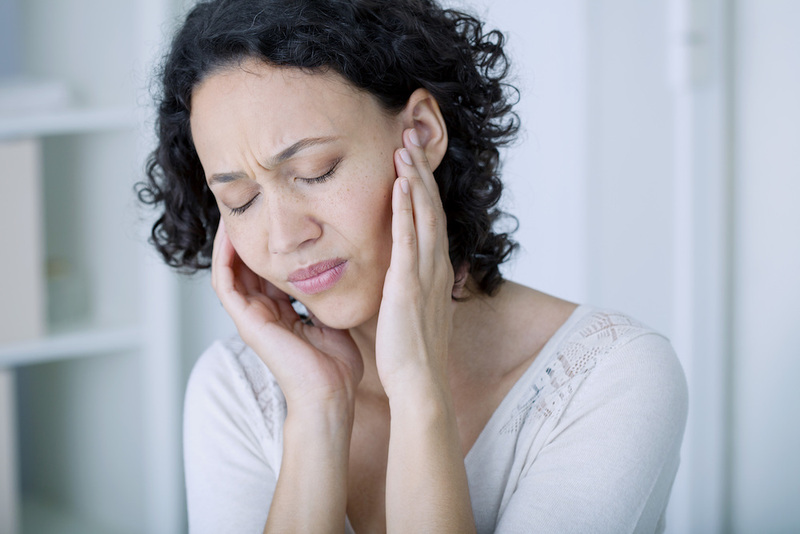 Tinnitus can usually be treated with hearing devices and/or hearing therapy. Our audiologists, because of their education, experience and expertise, are qualified to address and treat this issue. Note: a hearing aid dispenser who is not an audiologist, is not qualified nor allowed to legally treat this medical condition. There is both an art and a science into property fitting hearing aids. As an audiologist, we understand the physiology of the ear and the hearing system. We have extensive education and training in counseling and rehabilitating our patients and their auditory system. Most people think when they are buying a hearing aid they are buying a product and not a service. Nothing is further from the truth. It is the skill and expertise of the person fitting the device which is the key factor in a patient’s performance with that device. At Ultimate Hearing, we use REAL Ear Measurements to fine tune the hearing aids as well as incorporate a patient’s subjective reports. Real Ear Measurement is the objective measurement of a hearing aid’s performance while in the patient’s ear listening to live speech. The purpose of the test is to measure how the hearing aid works in real time in the patients own ear canal. The test is an important gauge for the audiologist to accurately assess how the hearing aid is doing for that individual patient. Less than 20 percent of hearing aids fit nationwide use REM. At Ultimate Hearing, 100% of all aids are fit with this best practices standard. Many times our adjustments are the difference between not wearing, or only tolerating your hearing aids – to LOVING them, and wearing them successfully. Real Ear Measurements allow us to place a small microphone in your ear canal between the end of the hearing aid and your ear drum. 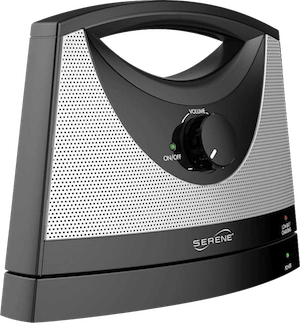 We play a speech passage through a speaker and measure your hearing aid’s performance. We don’t use standardized measurements, but instead by using your own ears performance, we can exactly set your hearing aids for you. Ultimate Hearing offers repairs to most brands of hearing aids, including but not limited to; Widex, Oticon, Starkey, Phonak, ReSound, Siemens, Rexton, Danavox, Sivantos, and Bernafon. 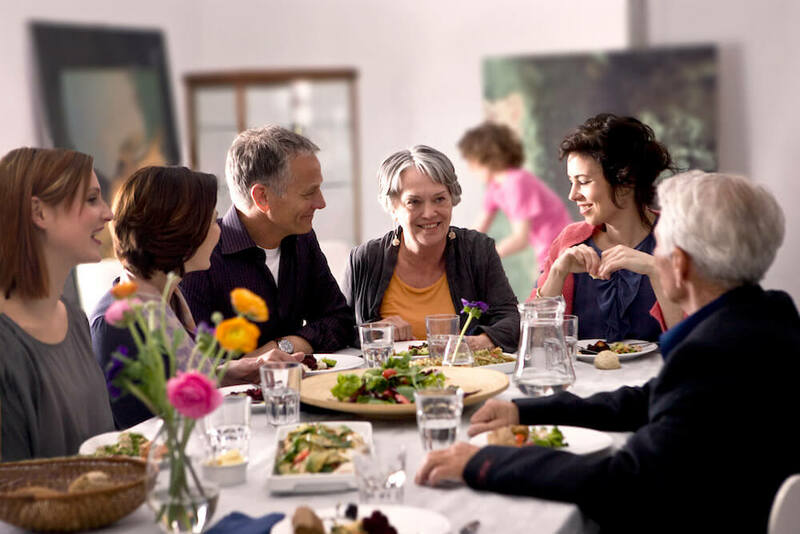 We do not service hearing aids with proprietary software such as Miracle Ear®, Beltone, Audiogy hearing devices, Audibel, Lyric or any Costco Brand hearing aids. While there are different brands of batteries available on the market. The most common type is still the zinc-air button disposable battery. Previously, hearing aid batteries were produced using trace amounts of mercury to assist with conductivity, but mercury is no longer used in hearing aid batteries. This makes them environmentally friendly and the batteries can be thrown away. Because zinc-air batteries are air-activated, a factory-sealed sticker allows them to remain inactive until it is removed. Once peeled from the back of the battery, oxygen will interact with the zinc in the battery and “turn it on”. 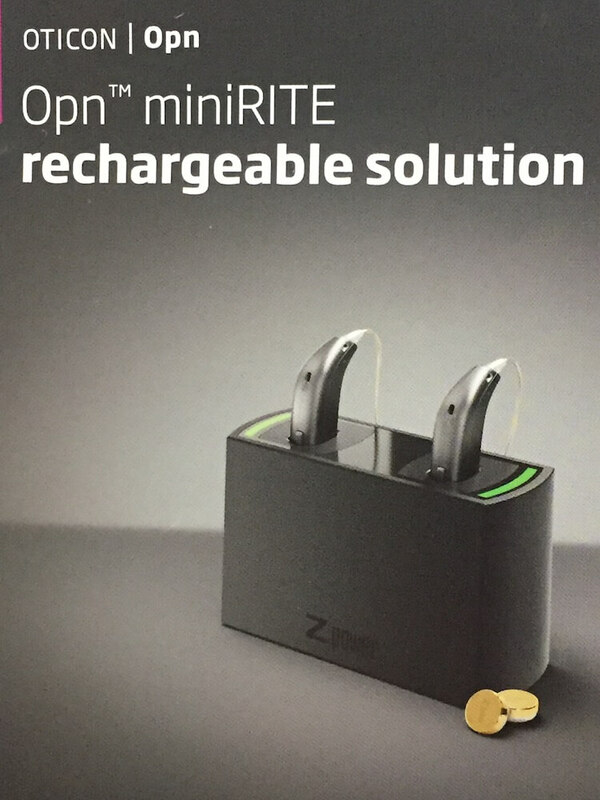 To get the best performance from a zinc-air battery, wait about one-two minutes after removing the sticker to fully activate it before placing it in the hearing device. Replacing the sticker will not deactivate the battery, so once the sticker is removed, the battery will remain in an active state until the power is drained. At Ultimate Hearing, our batteries have one of the longest shelf lives available. Most of our batteries have a battery expiration for up to three years. We also offer a great price on our batteries- check us out! Ultimate Hearing also offers rechargeable batteries and battery systems for select hearing aid models. The Oticon OPN model hearing aids now have a rechargeable feature. Please contact us for more information. Our custom noise plugs give you the ability to cut down on external noise through the use of noise filters. They can reduce noise by -9 dB, -15 dB, or -25dB SPL. Great for concerts, the worksite, travel, motorsports, or needing to cutout bothersome outside interference. If you swim, surf, are susceptible to ear infections from swimming or have PE (pressure equalization) tubes, having custom ear plugs is the answer. They offer protection, are comfortable to wear and come in a variety of bright colors. Ultimate Hearing offers a selection of custom solutions for military, hunters and shooting enthusiasts and law enforcement officers. Digital technology enhances environmental awareness while sound activated compression automatically suppresses loud impulse noises. Need to block out that snoring partner or noisy neighbor? Ultimate Hearing custom sleep plugs are a welcome relief and the answer for you. Made of soft material, these plugs offer up to -25dB of reduction and are comfortable to wear for extended periods of time. Time to get a good night’s sleep. We take impressions for every in-ear monitor company. We charge $75/set for taking your ear impressions. 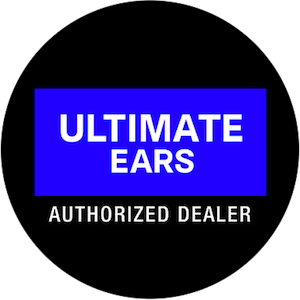 We are a dealer for Ultimate Ears and include the cost of impressions with the purchase price of your Ultimate Ears monitors. You’ll save $75 by purchasing your in-ear monitors with us. We have been taking impressions for musicians for over 20 years. Every custom fit product depends on a perfect impression. Let our audiologists take your impressions to get that perfect fit and sound. Want Custom Fit Ear Buds but need to be cost-conscious? Check out our Ear Sleeves! Custom ear sleeves are made from an impression of your ear. We use your own headset and replace the universal tip with your custom sleeve. Now your ear buds are comfortable, stay put and “fit like a sleeve!” They come in a variety of fun colors. Pick out your favorite color and connect them to your headset. You will no longer experience soreness, pain or loose ear buds falling out. Ultimate Hearing has a large in-office display of television and telephone amplifiers and usually have them in stock. These devices make watching television or talking on the phone enjoyable for everyone involved. 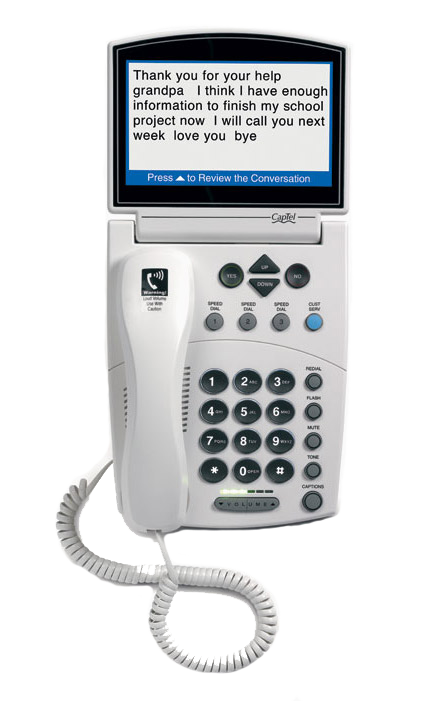 We have Caption Call captioned phones on display, and are authorized to order these phones for our patients. These captioned phones are offered FREE from the State of CA, and are a great benefit to our patients who cannot use a standard phone even with a built in amplifier. Many hearing aid manufacturers offer a direct connection between the television and the hearing aids. At Ultimate Hearing, we display several of these systems. Come in and view the various devices and find an easier way to understand and enjoy your favorite TV programs. Looping is a very inexpensive way to maximize your comprehension of the television using the tele-coil (T-coil) of a hearing aid. A hearing loop is a wire that circles a room, connects to a sound system (ie: TV) and transmits the sound to a telecoil in your hearing aid or cochlear implant. These hearing loops can be found in classrooms, theaters, places of worship, etc. Our front office area is looped, and you can experience the benefits of your hearing aid’s T-coil first hand. Using a hearing aid or assistive device is only one part of the rehabilitation process at Ultimate Hearing. Teaching the brain to focus and understand speech in the presence of background noise is another. LACE Therapy is a standard recommendation for all our hearing impaired patients desiring to improve their comprehension in background noise. LACE is available in two versions, an 11 session/ 20 minute version (included FREE with every Premium hearing aid fitting) or a longer 20 session/20 minute version with over 365 days of follow up therapy. LACE Therapy has been proven to improve comprehension in background noise up to 40%. Try it today and start eavesdropping on background noise again! The brain needs help and training to recognize the new stimulus it is receiving from the hearing aids. Our audiologists are trained to push our patients to achieve their maximum potential, yet being sensitive to their new hearing environments. Aural rehabilitation is an extremely important part of our standard fitting process. We know what it takes to maximize our patient’s performance, and our patients experience the benefits.